As people spend more and more time at work, employers have begun searching out services and products to help improve office culture and keep employees healthy and energized. This has led to some pretty exciting new ideas, as well as ways of rethinking existing employee benefits. We're headed to the PERKS Convention in a few days, which will highlight some companies providing awesome extras. If you're able to join us at PERKS, we'd love to see you. But if you can't make it, these are some of our favorite local companies offering healthy office perks. What They Do: Many insurance providers cover yearly eye exams, but it can be a hassle to make a special appointment to see the optometrist. 2020 brings the eye doctor to you. Their state-of-the-art buses contain all the equipment necessary to perform comprehensive eye exams, and 2020 staff handle all the logistics of parking at your office location. Employees just need to show up. Why We Dig 'Em: Not having to go out of your way to go to the doctor's office. 'Nough said. 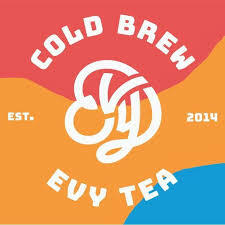 What They Do: Evy Tea makes cold brewed iced tea that is steeped in cold water for 16 hours, resulting in a tea that is free from the bitterness that occurs when brewing in hot water. Why We Dig 'Em: Evy Tea sells tea in bottles or in kegs, which is a more sustainable and economical way of enjoying their beverages. We'll begin offering bottles of Evy Tea cold brewed tea to our customers soon. Stay tuned! What They Do: Bevi is changing water cooler conversation by making the conversation about the water cooler as much as around it. The company furnishes offices with machines that dispense still or sparkling water, and offer users an array of flavors to add to their drinks. Staying hydrated has never been more fun, or more tasty. Why We Dig 'Em: . The service eliminates waste from water and other beverage bottles, and the touch screen display gives the sleek machines a space-age flair. There's no need to worry about dehydration with a never-ending supply of delicious flavored water at the touch of a button. Plus, we love the bubbles. What They Do: No matter how absorbing your audiobook, pernicious thoughts about what you’d rather be doing with time spent stuck in traffic tend to niggle their way in. Bike Bus seeks to help you get your exercise in while on the road, getting both your workout and your commute out of the way. Their spin studio on wheels features colorful lighting and pump-up music, to provide a fun atmosphere for your workout. Enjoy a spin class during your commute, or hire the bike bus for corporate events to offer employees a chance to get moving during the workday. Why We Dig 'Em: Everyone hates traffic. Anyone who can put a healthy, fun and enjoyable spin on commuting time is all right in our book. What They Do: Art in the workplace can be a great way to create a welcoming and stimulating atmosphere. With ArtLifting, art in the workplace can also help to achieve a social mission. ArtLifting sells original pieces, prints and posters by homeless artists to help them earn income from their work. Why We Dig 'Em: The inherent beauty of the art is enhanced by the fact that their purchase impacts the lives of community members in need. What They Do: Sometimes good, old fashioned, kitschy fun is just what you need to bring a burst of energy to the office. Mobile Mini Golf brings a put-put course to you. This service is perfect for company parties or team-building events. They provide a variety of greens, putters and scorecards, and set up a course based on your office’s common space. Why We Dig 'Em: Some of us are really just five-year-olds at heart. We love the idea of mini-golf at the office for the fun of it. Dibs on the green ball! What They Do: Rinse offers high quality dry cleaning and laundry, picked up and delivered. Pickups are easy to schedule, and they can deliver your clothes even if you're not home. 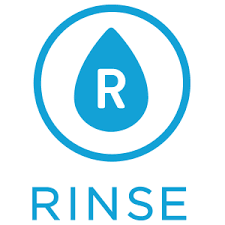 Why We Dig 'Em: Rinse is located right down the hall from us and they're pretty great neighbors, so there's that. But also we really like how easy they make things. They'll provide an over-the-door hook for your valet bag and hang clean clothes for you to grab when you get home. What We Do: After all that play, exercise and healthy activity, employees are sure to need a snack. 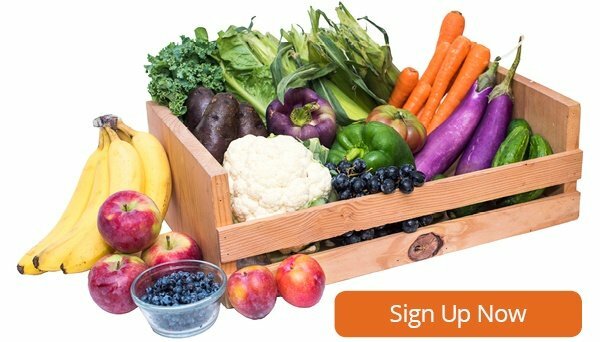 For many local companies, Boston Organics is an important part of their corporate wellness programs, offering organic fruit delivery to office break rooms and kitchens. Supplement your weekly or biweekly delivery with organic coffee, tea, nuts and snacks to help keep employees focused throughout the day. Why Boston Organics: We're committed to delivering the highest quality food to our customers and making organic produce as accessible as possible. We're looking out for our customers' health and the health of the planet through our B-corp certified business practices.